“Before I formed thee in the belly I knew thee; and before thou camest forth out of the womb I sanctified thee, and I ordained thee a prophet unto the nations.” Prophet Kevin N. Williams operates as the mouth piece of God. He prepared to encounter and address a wide variety of life’s situations, as well as a world of diverse peoples. He is called to the Office of a Prophet. Dr. Williams is a chosen end time prophet of God to the church world. God often gives prophetic understanding and instruction through the messages that are preached by this man of God. The directions given are explicit and the validity of the messages is confirmed over and over again. Dr. Williams’s teaching ministry is truly blessed by God. He is in constant demand to speak at churches and conferences throughout the United States. The anointing is so great upon his teaching that people have traveled to Miami, from several states away, just to be in one of the Tuesday night services where Dr. Williams teaches deliverance messages centered around biblical principles. His messages bring knowledge and encouragement to the Body of Christ and are confirmed by mighty moves of God accompanied by signs, wonders, and miracles. He has been acclaimed as a “Preacher’s Preacher.” He is uniquely capable of ministering hope and deliverance to other preachers and is often sought out for that very purpose. As a pastor, Dr. Williams ministers with profound love to the people that the Lord has allowed him to shepherd. He persistently seeks God concerning direction in the leading of God’s people. 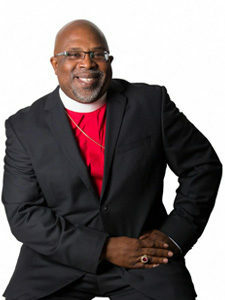 As a result of his effort to stay “plugged in” to the flowing of the Holy Spirit, Pastor Williams is used by God to minister wholeness to the body, soul, and spirit of those in the local assembly. He is loved and respected by young children, teenagers, young adults, middle-aged adults and senior citizens. He is able to relate to all of them in ways that reach them where they are and let them know that they are loved. Pastor Williams endeavors to prepare a well-balanced church – a church that is not “weak in faith,” but a mighty army of “eagle saints” destined to do great feats for Christ and properly represent Christ to this present generation. Dr. Williams’s evangelistic ministry captivates audiences throughout this country as he preaches the unadulterated gospel of Jesus Christ under the anointing of the Holy Ghost. Souls are saved, bodies are healed by the magnificent power of God, and financial blessings are manifested as a result of this power-packed ministry. Dr. Williams ministry has reached out and inspired countless numbers of people to reclaim Christ as their personal Savior, to enjoy living the Christian life, and to submit to the Lordship of Christ.